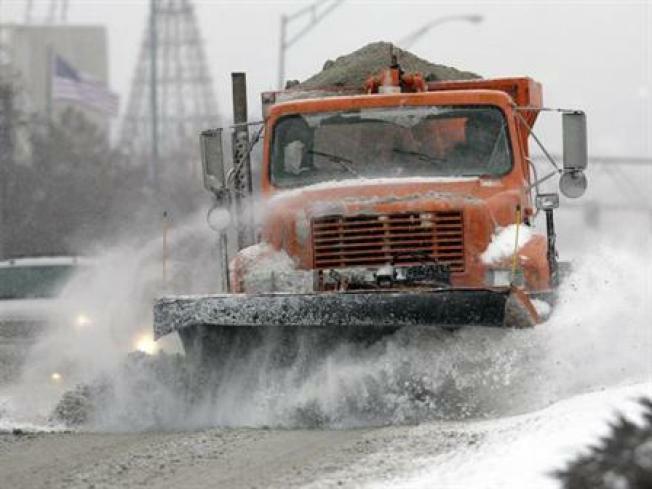 Chicago has nearly 200 snow-fighting trucks on the streets today. Rain, sleet, freezing rain and snow, adding up to a potentially treacherous wintry mix of weather conditions could be headed into the Chicago area over the next two days, according to the National Weather Service. There is also an outside chance of a significant winter storm occurring. While some snow, with accumulation of no more than an inch, could fall across the area Sunday, the weather service warns that patchy light freezing drizzle may continue into Monday morning. This may cause some slippery conditions on untreated roads, parking lots and sidewalks. Read the full story in the Chicago Sun-Times.